In Being in Love, William Johnston addresses the question of the purpose of prayer. He shares with the reader the discovery of new ways to a prayerful life that is both meditative and active. His message is to surrender in love to God, to love God with one's own being, through prayer. Here Being in Love shows us how to pray-with heart, mind, intellect and body-as a form of communicating with God, one another, and the world around us. Johnston reveals, using his relationship with the Eastern traditions as a backdrop, the need and importance of finding stillness in our inner lives. 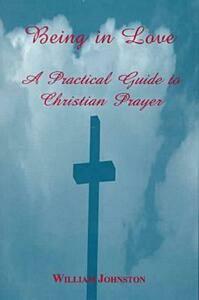 He demonstrates in a clear and practical way, how we can make prayer a place for meditation and personal growth.